You can collect up to 95% of the Argon which discharges at the end of any process step (e.g. the purging process in steel industry). 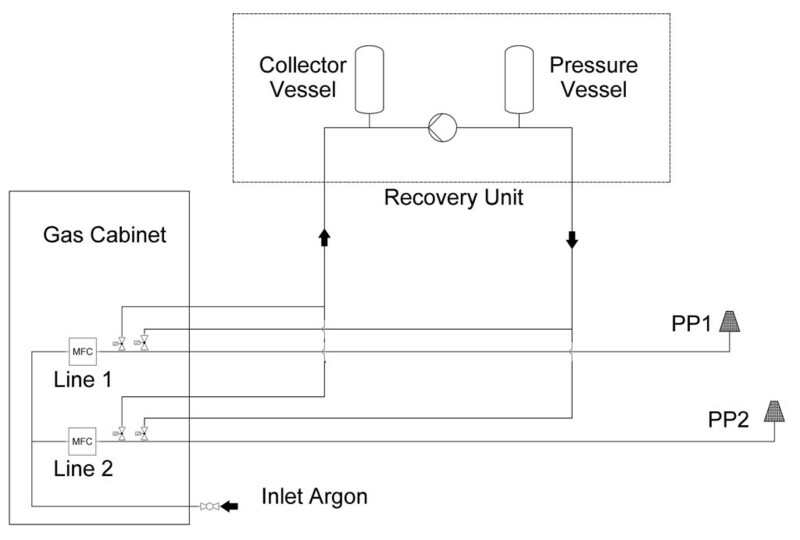 A combination of receiver, compressor and pressure vessel can save the Argon for the start of the next treatment process. The amount of saved gas depends on many aspects like, size and length of the pipes, number of plugs in the ladle and also the conditions of the process. For typical installations 3000 to 9000 m3 Argon per year can be reused. The recovery system will be part of your process and seamless integrated into your control system.